We start from the vial caps with a hole covered by a silicon septum. We cut a gasket in the septum, by removing its center. 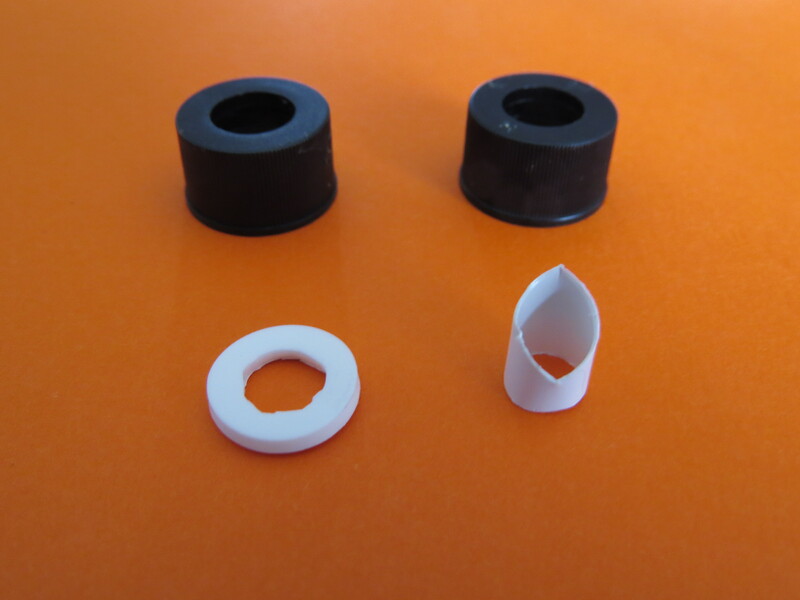 It is the basis for our connector, cut from a plastic tube. Its pointy shape is designed to pierce the aluminum seal on the bioreporter vial. We take two caps to make the double cap. Then we assemble the four pieces : the connector in the gasket, that we put between the two caps. We glue with neoprene glue to maintain them together. Neoprene glue is maybe not very optimal for this piece, it is well hermetic but it dries too slowly and stays elastic. Define the tolerances of the connector proportions. 3D print or mill the connector to have a more precise piece. Test different glues to find a strong and hermetic one. Define the height of a graduation to add on the water sample vial to collect the right volume of water. If the model is validated by the authorities (Federal Office for the Environment (FOEN)), we will release the final prototype under an open source license. 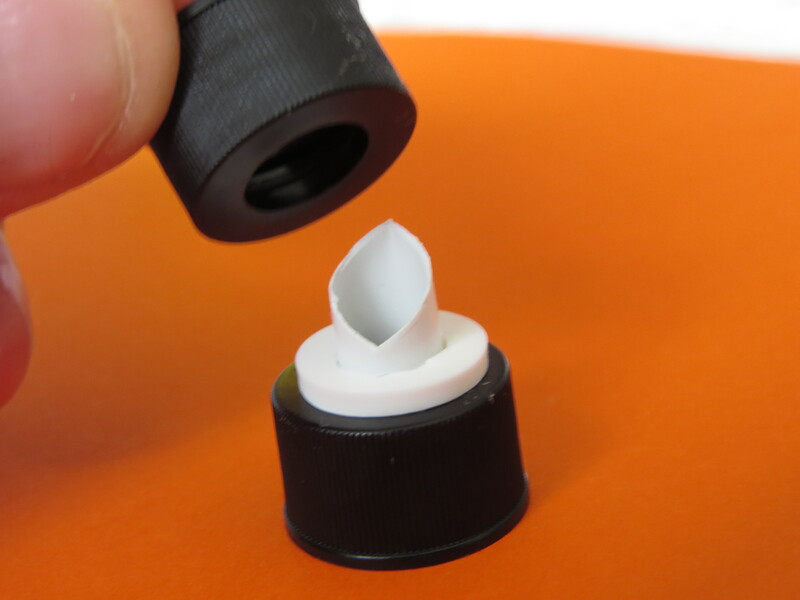 We will also have to find an “industrial” way to produce our double cap (for instance 3D print the double cap in one single piece) and to close the bioreporter vial with the seal.